Mr. Mason and Mr. Steinberg I suppose. The suppository is right. 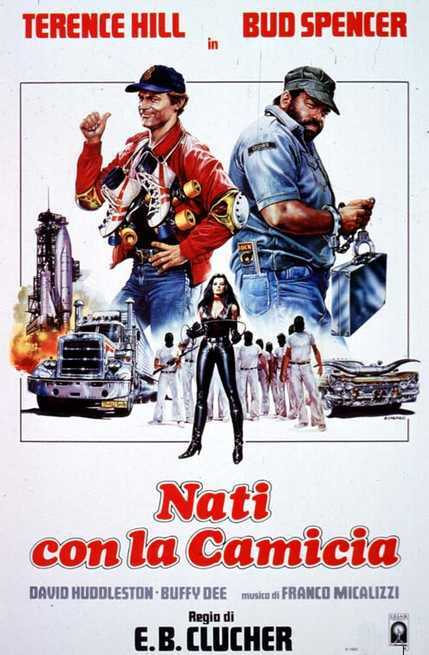 Rosco Fraker / Agent Steinberg (Terence Hill), a globetrotter in roller skates, and Doug O'Riordan / Agent Mason (Bud Spencer), an ex-con just released from prison, get into a fight in a bar. After unknowingly stealing a truck trying to escape the police and a number of fatalities, they are are, in exchange for prison sentence hired as secret agents by the C.I.A. Not being able to disclose their identity and assigned to a case where a million dollars is in play and, in their own way, they are trying to thwart an international conspiracy. Mason get off the radio. There are people with very long ears in this affair! Steinberg: You Heard? There are Recchioni!